#Office365Challenge Any day I can write about PowerPoint is a good day. 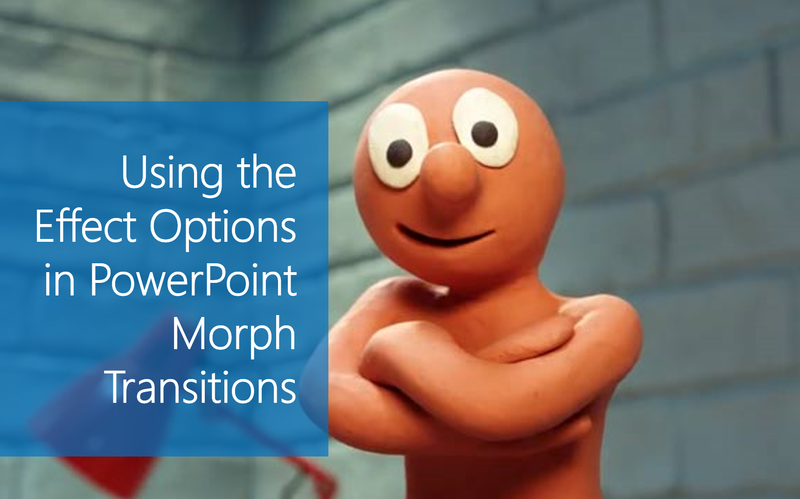 Today I’ll share something about using Morph transitions that I didn’t know – and makes a HUGE difference! Effect Options. I have explained the exact how to’s in a previous blog, here I’ll show you how to make it even better! In the short video clip below, you’ll see that I have two slides. There is text on both, and I’ve added shapes to both. Morph will transition these text and shapes into the next slide.